Jan-Kees spent a large part of his career in the investment banking industry, both in London and Amsterdam, working for big brokers as UBS Warburg and Cheuvreux (Credit Agricole). During the last 6 years of his investment banking career Jan Kees was Head of Research Benelux/director and member of the European management team of Cheuvreux responsible for the invesment analysis of big Benelux quoted companies such as Philips, ING, Ahold and many others. In 2008 he resigned in order to start-up a consultancy, combining it with studying International Sports Management, in which he graduated in 2009. At present he is also in training to become a licensed life-coach. His key expertise can be found in strategic analysis, business consulting, monitoring, company analysis and valuation as well as financial and investment management. With his skills he also aims to become active in athlete management wereby the long term personal development should take center stage. By working and cooperating closely with the client, he aims to realize sustainable and balanced solutions in line with the values of that same client. Being a lateral thinker Jan Kees’ main mission can be found in the initiation of further growth and development through analysis, cooperation and awareness. Jan Kees has degrees in Business Administration (BBA Nijenrode), International Business (MIB, University of South Carolina, USA) and in International Sports Management (MISM, Cruyff Institute for Sports Studies, Amsterdam). He has a keen interest in sports such as golf, football, yachting, cycling etc. 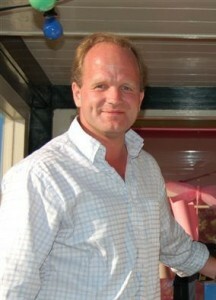 Jan Kees also is a part-time sports commentator (yachting, golf) at Eurosport.